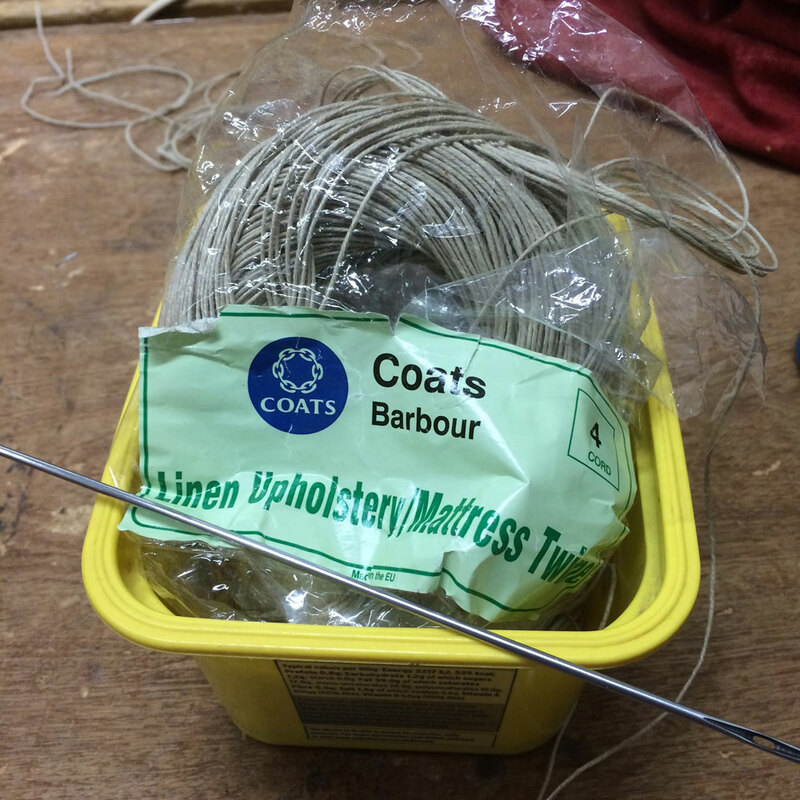 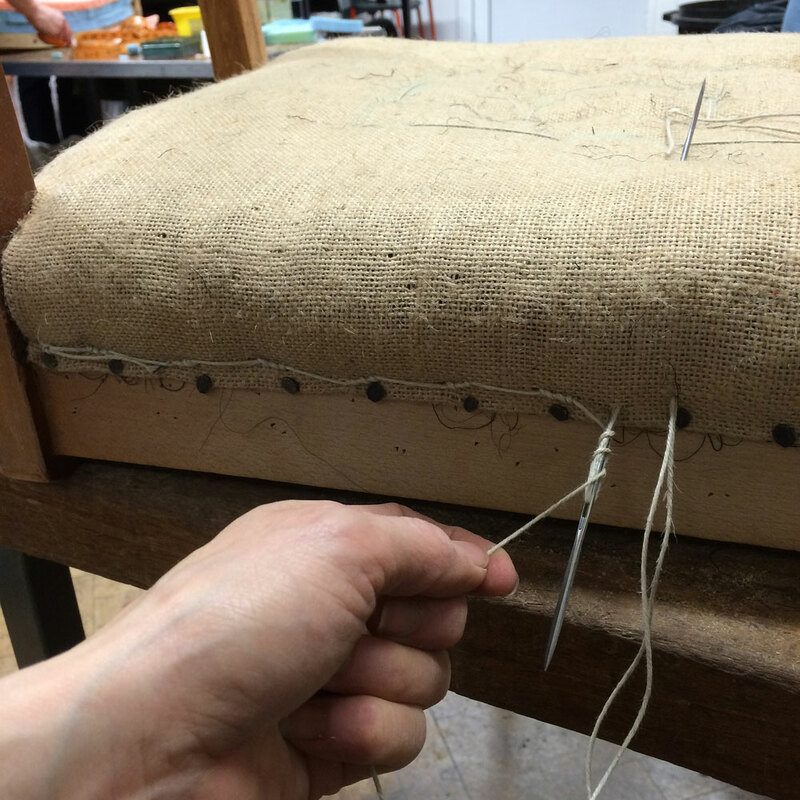 Welcome back to my upholstery tales; with each session bringing me that much closer to the final covering…or so I keep telling myself! 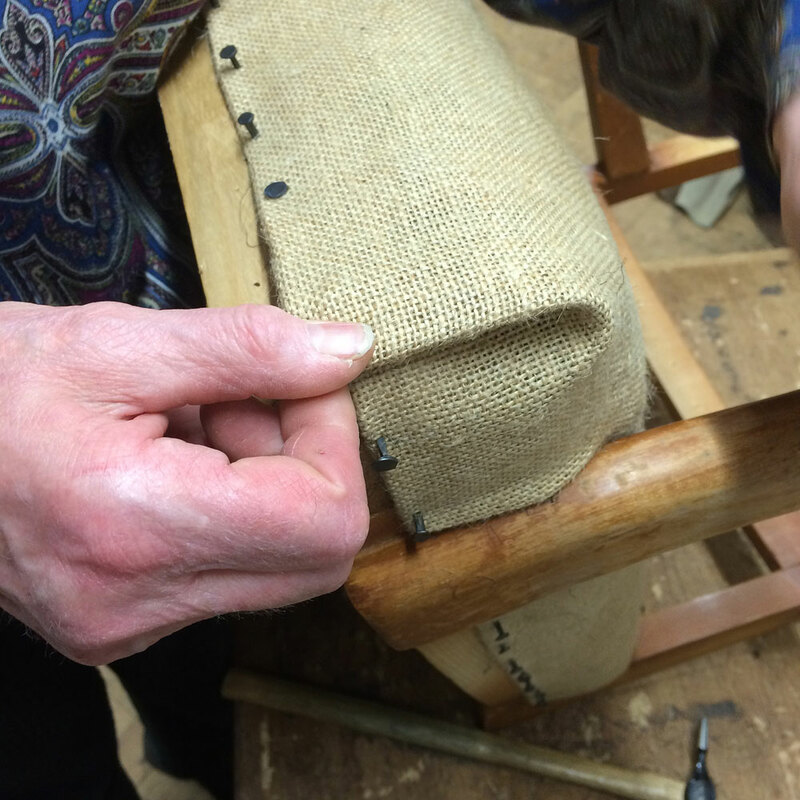 And yet there’s so much more to learn within the traditional method – under the strict tutor ledge of Ms Sarah B, there are no short cuts. 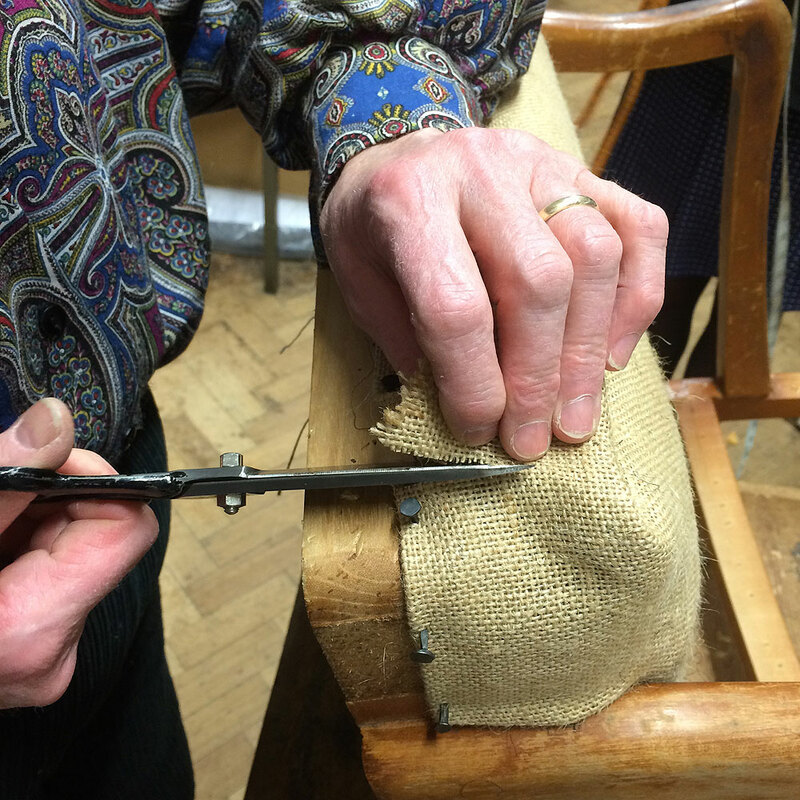 You do things properly or not at all – simple as that. 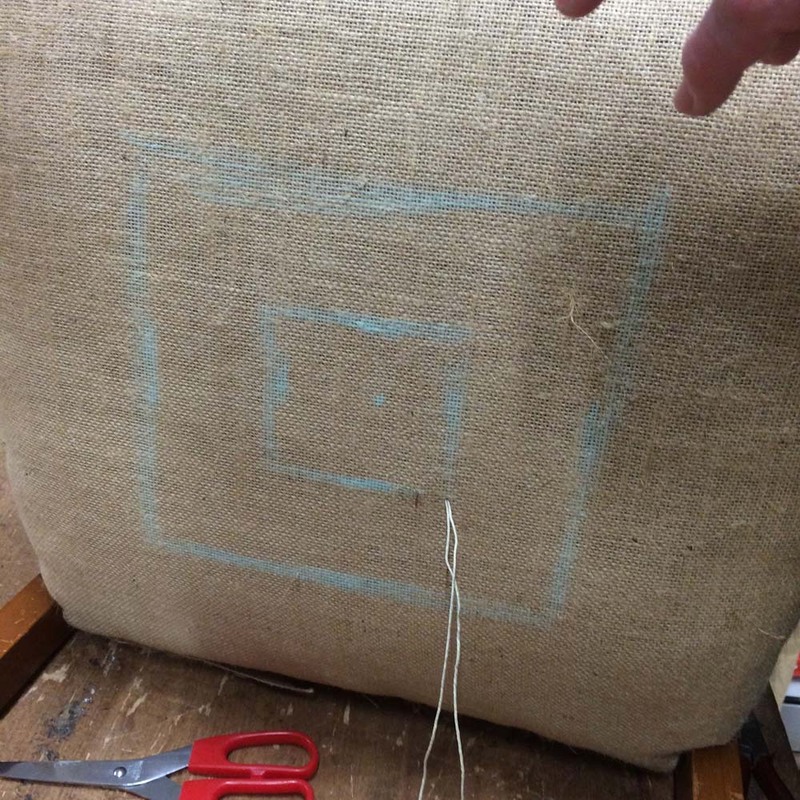 So having temporary tacked the edges of hessian to the frame, onto my next challenge. 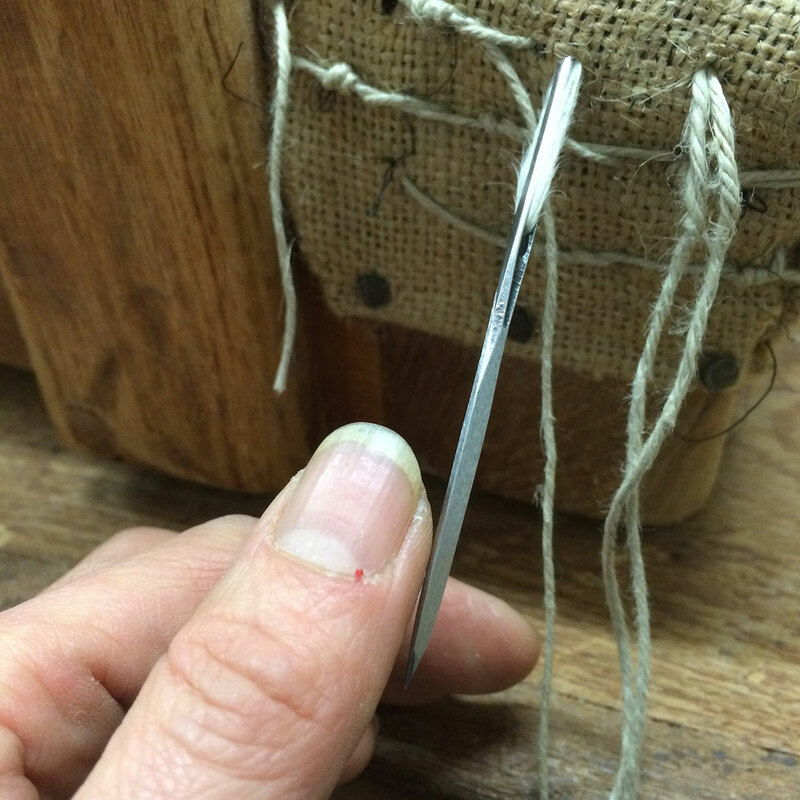 Corners can present a tricky dilemma – how to achieve a nice neat look? 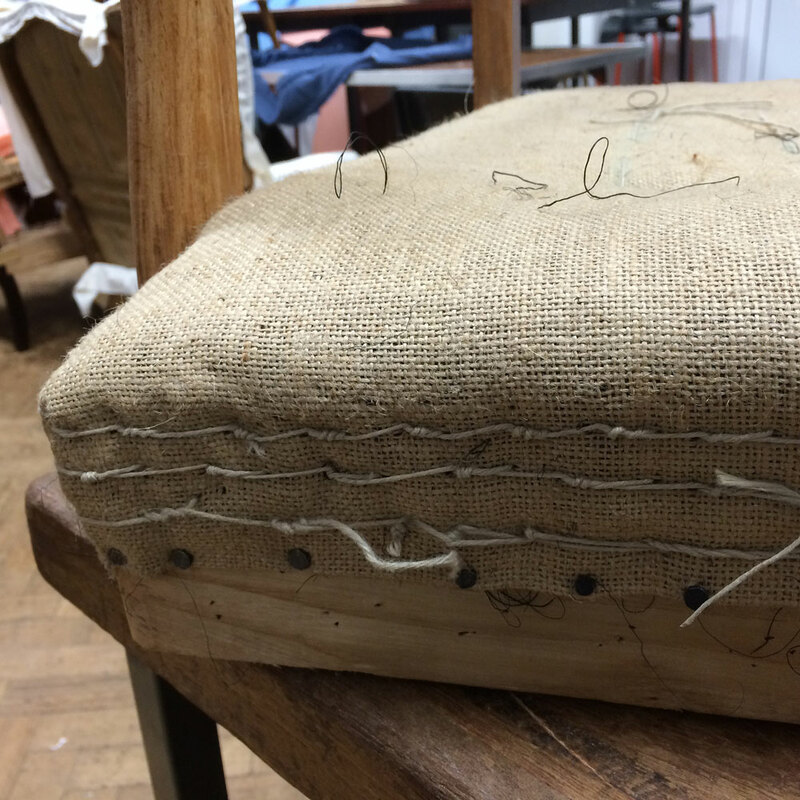 Once all sides and corners of the hessian have been neatly been tacked into place and I get the go ahead to ‘hammer home’ (music to my ears), and we’re onto stitching. 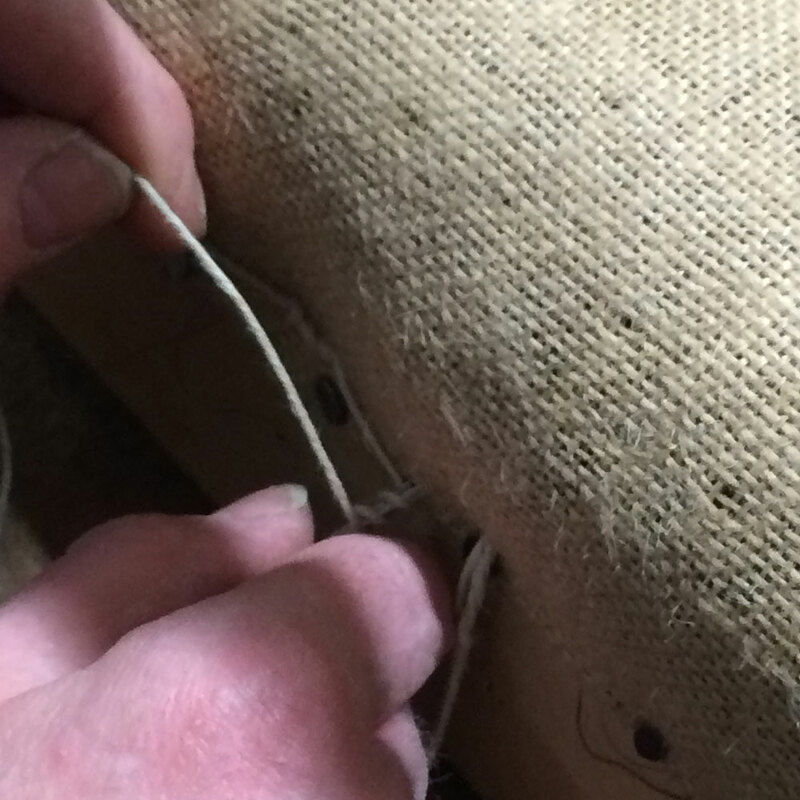 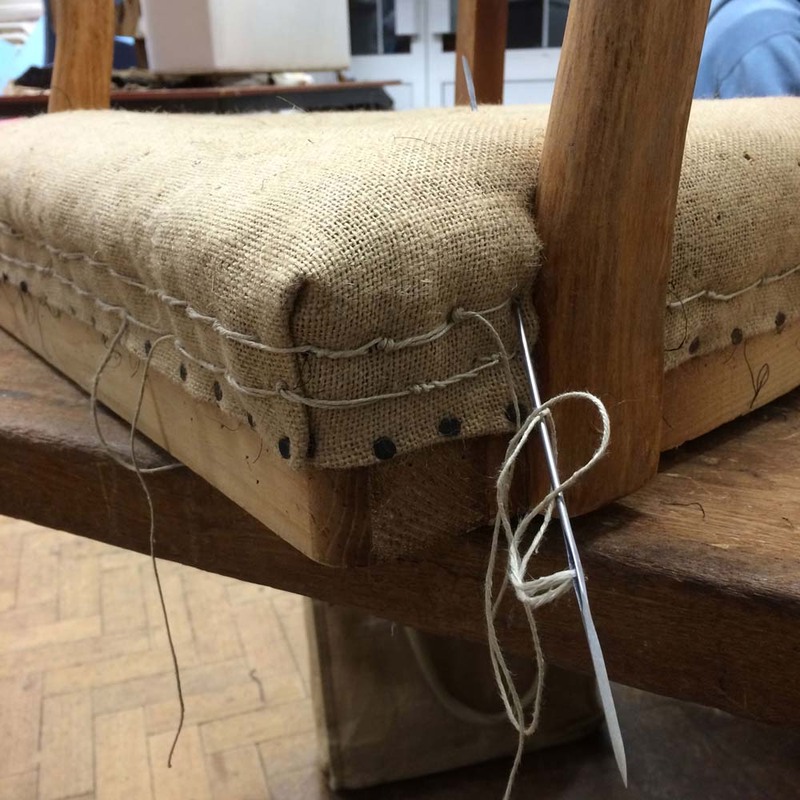 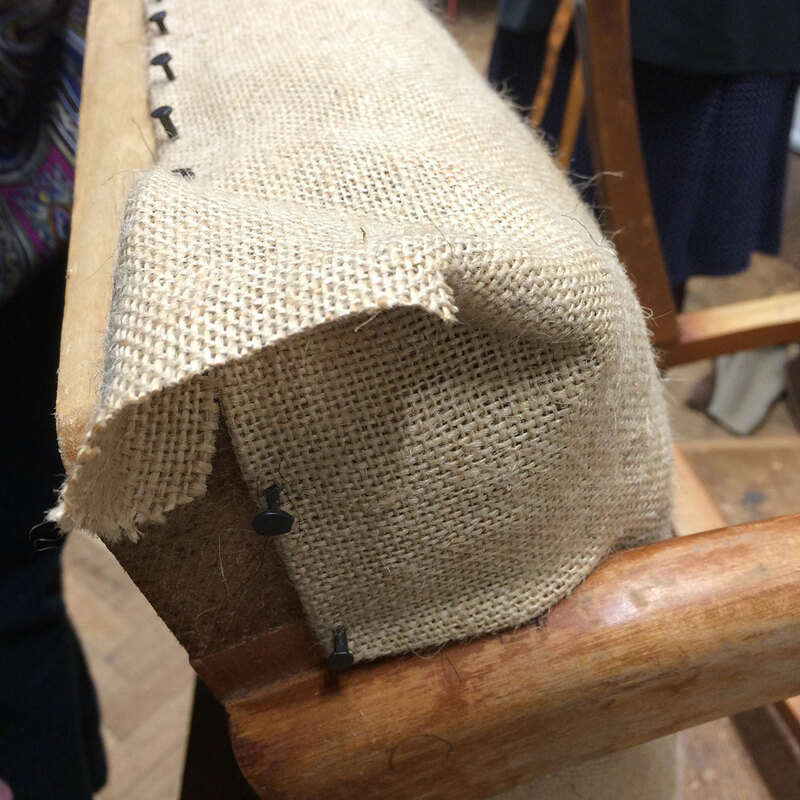 Upholstery twine at the ready, this step is all about making sure that the hog hair that’s been stuffed tightly inside stays obediently in place.